We were recently commissioned to provide some Virtual Reality experiences at the FOX African Boxing tournament which were held on the 20th of July 2018 at Carnival City. This was one of the best activations we have assisted with to date. People had so much fun in the Virtual Reality Boxing game it was simply awesome! The Virtual Reality activation was very relevant to the event and provided some build up to the actual boxing game, and many people tried (showed off) their boxing skills, and it was clear that we had many real boxers at the event. The Virtual Reality company is one of the best virtual reality activation companies in South Africa and we have hundreds of activations under the belt. We provide Virtual Reality equipment for rent but also supply trained Virtual Reality activation staff to assist at these events. In many cases the owners are present at these events to make sure that everything runs smoothly. For us it is fun and rewarding to help brands build their businesses awareness via virtual reality. It is extremely rewarding to see people going into VR for the first time and experience the awesomeness of the platform. We also build custom Virtual Reality Games and Applications for clients that wants to go all out with their marketing and branding and want to give clients a personalized branded virtual reality experience. 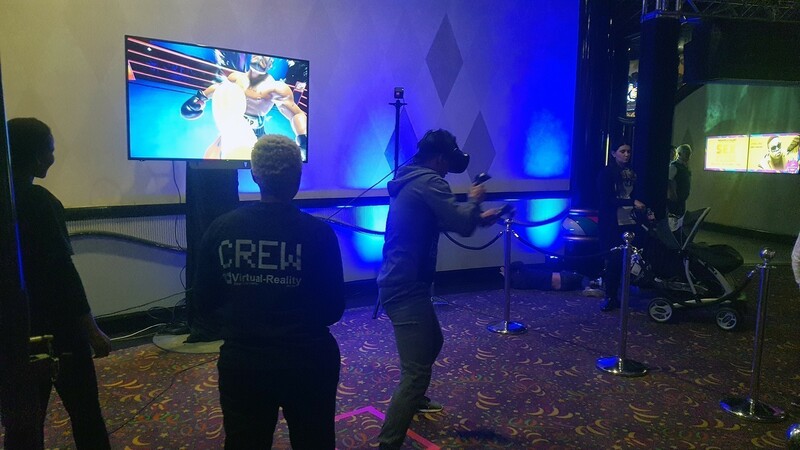 In this instance we used a commercial Virtual Reality boxing game to get people in the mood for the big boxing game that took place at Carnival City. People were very engaged with the virtual reality boxing activation and it was spot on and relevant to the event! We took some video of the boxers enjoying the Virtual Reality Boxing game and activation. We had so much fun watching people box in Virtual Reality. The game was a huge success and we were busy all the time! We are the experts in Virtual Reality Activations in South Africa. If you are looking for a VIRTUAL REALITY TEAM BUILDING activation talk to us today. We have all the virtual reality games, virtual reality experience and virtual reality equipment to provide your company with awesome Virtual Reality Team Building fun!